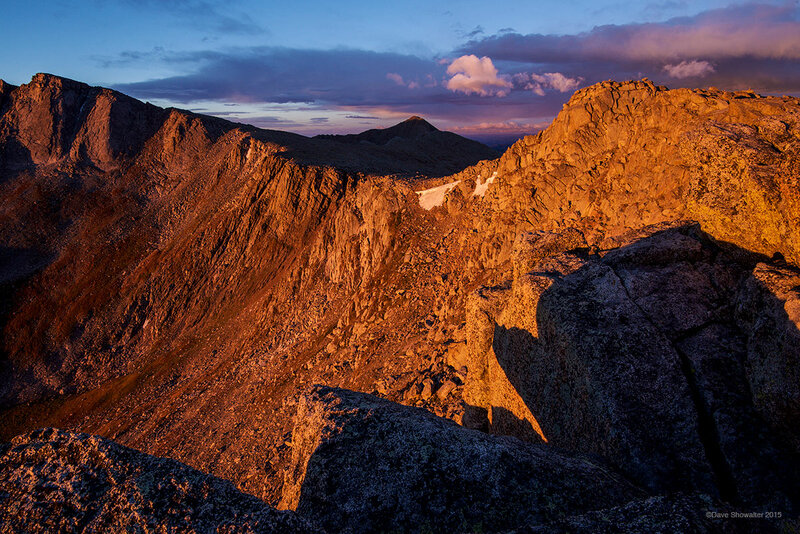 First light grazes the summit of distant Mount Bierstadt (14,060) from the eastern flanks of Mount Spalding (13,842'). Shapes and layers of mountains seem to extend forever from this high alpine perspective. On this particular morning, the warm sun rays play a trick, a blustery autumn stern reminder to brace for winter. Photo © copyright by Dave Showalter.